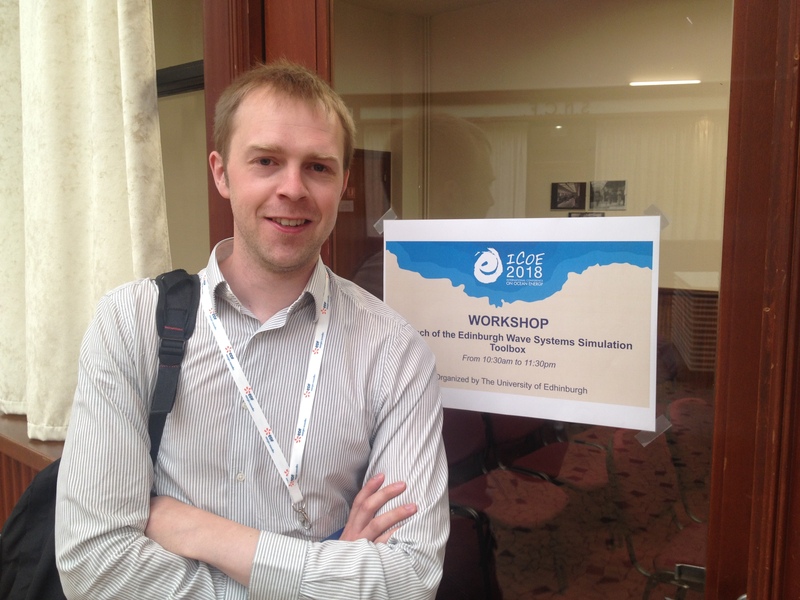 The e-Drive project team launched the Edinburgh Wave Systems Simulation Toolbox during a workshop led by Dr Richard Crozier at the International Conference on Ocean Energy in Cherbourg, France on June 14th. The software has just been released as an open source tool with full documentation and is available on SourceForge.net. The Edinburgh Wave Systems Simulation Toolbox is a new toolbox primarily designed for the simulation of wave energy converters. The toolbox also contains more general purpose components useful for simulating a wide range of systems, including electrical machines, hydraulics, advanced multibody dynamics, and, naturally, wave interaction. The simulation system is also optimised for batch processing and optimisation tasks run on servers. The code is based in Matlab, but also capable of running in the free alternative, Octave. Read the full article on the e-Drive project website.